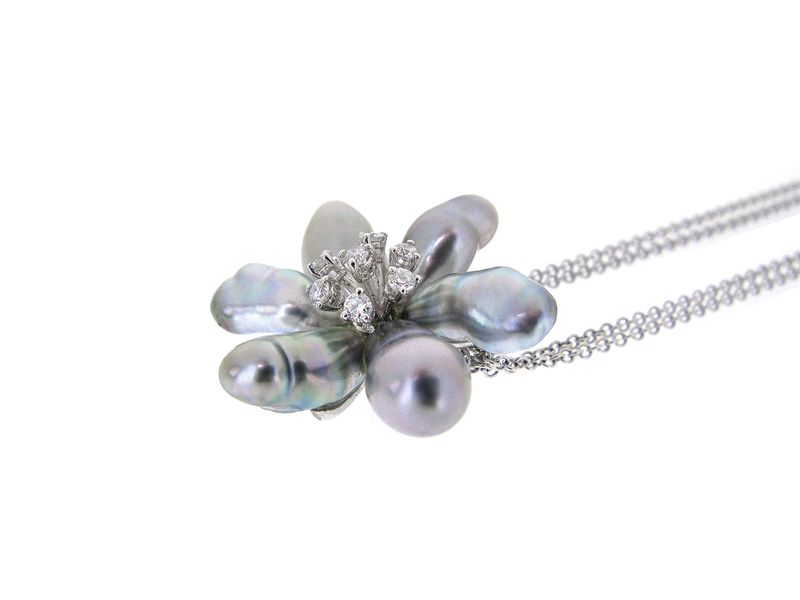 An 18k white gold South Sea Keshi pearl and diamond pendant. 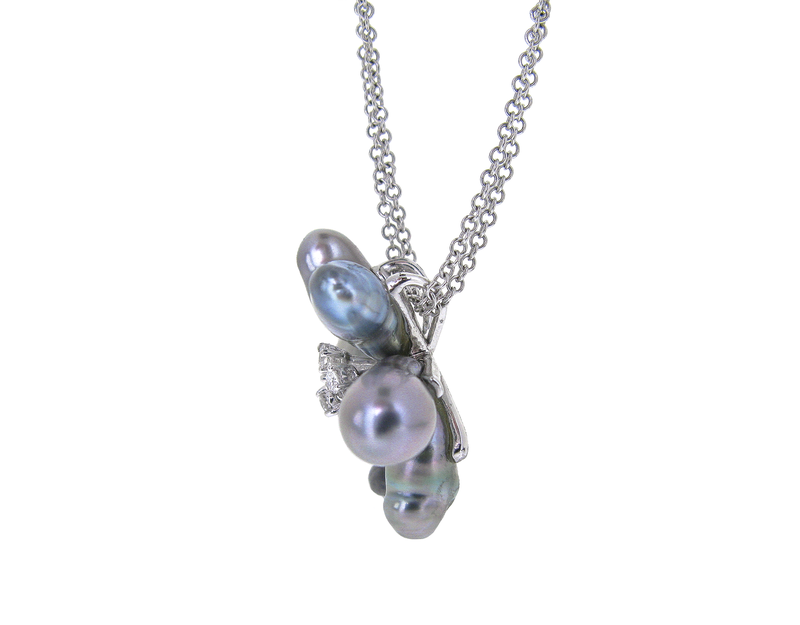 The pendant is set with 6 silver Keshi pearls and 7 claw set round brilliant cut diamonds. 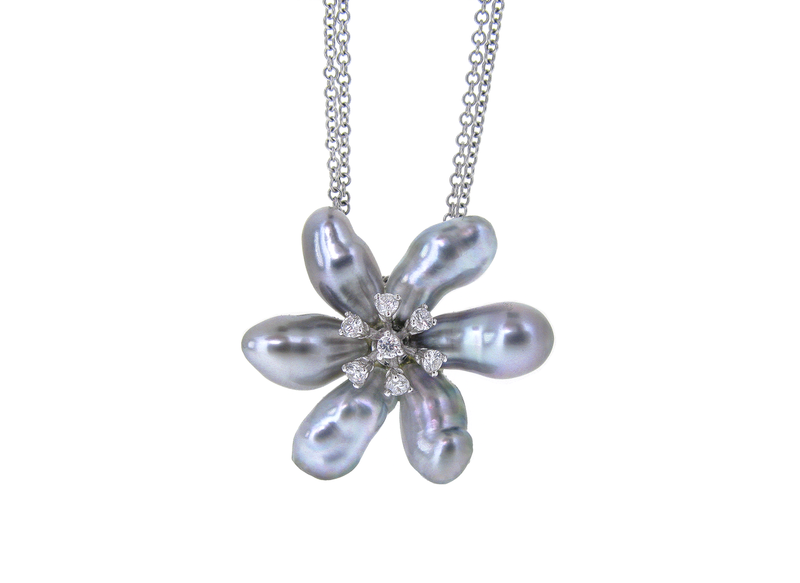 The pearls and diamonds are arranged in a flower design. 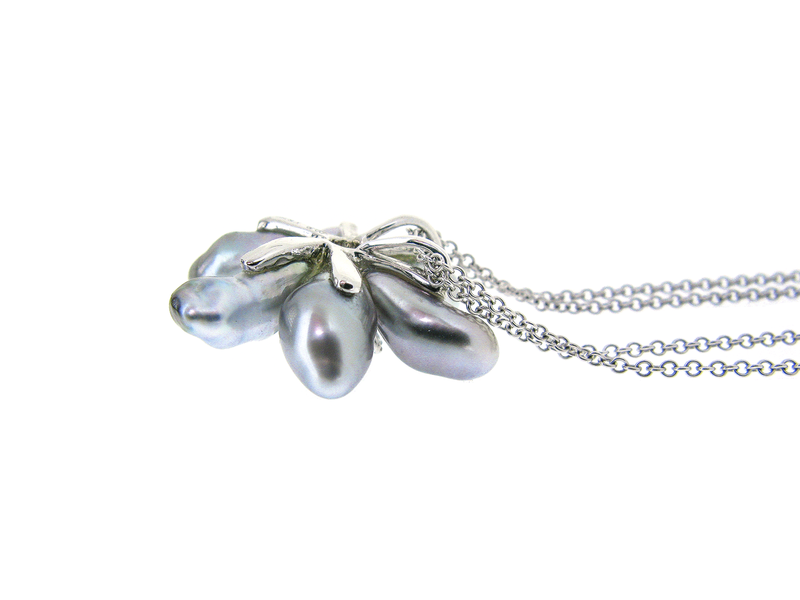 View the rest of our South Sea pearl collection here.